UNIVERSITY OF WARWICK—Guinness World Records have independently certified an astrolabe excavated from the wreck site of a Portuguese Armada Ship that was part of Vasco da Gama’s second voyage to India in 1502-1503 as the oldest in the world, and have separately certified a ship’s bell (dated 1498) recovered from the same wreck site also as the oldest in the world. 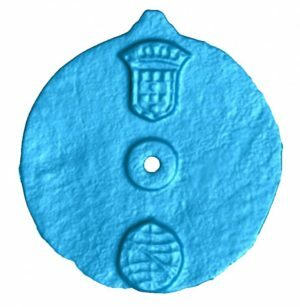 The scientific process of verifying the disc as an astrolabe by laser imaging is described in a paper* published today by Mearns and Jason Warnett and Mark Williams of WMG at the University of Warwick in the International Journal of Nautical Archaeology. The Sodré astrolabe has made it into the Guinness Book of world records and is believed to have been made between 1496 and 1501, unique in comparison to all other mariner’s astrolabes. They are considered to be the rarest and most prized of artifacts to be found on ancient shipwrecks and only 104 examples are known to exist in the world. They were first used at sea on a Portuguese voyages down the west coast of Africa in 1481. Thereafter, astrolabes were relied on for navigation during the most important explorations of the late 15th century, including those led by Bartolomeu Dias, Christopher Columbus and Vasco da Gama. 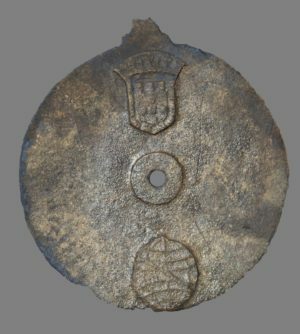 The thin 175 mm diameter disk weighing 344 grams was analyzed by a team from WMG who travelled to Muscat, Oman in November 2016 to collect laser scans of a selection of the most important artifacts recovered from the wreck site. 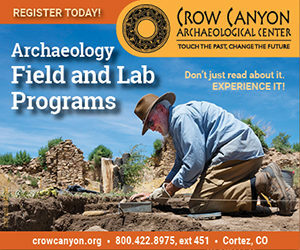 Using a portable 7-axis Nikon laser scanner, capable of collecting over 50,000 points per second at an accuracy of 60 microns, a 3D virtual model of the artifact was created.